An Abuja Division of the Federal High Court has lifted its temporary ban on the Independent National Electoral Commission (INEC) to continue with the collation of governorship election results in Bauchi State. 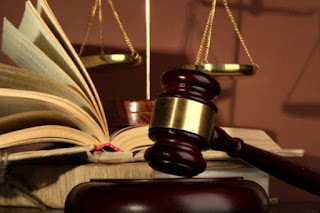 The court had entertained a suit filed by the candidate of the All Progressives Congress, Governor Mohammed Abubakar, asking the court to determine whether INEC has the powers to decide collation of results after the announcement of a suspension. Mr Abubakar’s lawyer, Ahmed Raji, had approached the court requesting among other things, an ex-parte application preventing INEC from proceeding with its decision to collate results in the state. Clarifying an earlier decision made, following that ex-parte application, the judge, Inyang Ekwo, said there was never a time that his court granted the ex-parte application made by Mr Raji, a Senior Advocate of Nigeria. According to the judge, what the court ordered following the earlier application is an order for parties to maintain the status quo pending the determination of the suit before him. According to the judge: “the issue at hand happened during an election. And the complaint was also made as a result of an election, subsequently,” said Mr Ekwo. Subsequently, Mr Ekwo declined to give a pronouncement on the substantive matter and deferred his decision to allow the election tribunal to make a pronouncement on the substantive matter. The court also ruled that the order to maintain status quo earlier granted on the matter had been lifted. Thus allowing the INEC the freedom to proceed with its decision made public on March 15. INEC had on that date announced its resolve to proceed with the collation of results after previously declaring the Bauchi election inconclusive. The Peoples Democratic Party won the previous election, as well as the supplementary election conducted on March 23. INEC could however not formally declare the PDP winner because of the court action. The PDP candidate, Bala Mohammed, was present at Monday’s court session.